Estate planning is often thought of as something that involves actions that will be taken after you pass away. Clearly, this is at the core of the endeavor, but a well-constructed plan for the inevitable will also address end-of-life issues. Admittedly, no one is particularly anxious to contemplate these matters, but challenging situations can be magnified when there is no plan in place to address them. With the above in mind, it is important to understand the fact that a very significant percentage of elders become unable to handle their own affairs at some point in time. There are other causes of incapacity, but Alzheimer’s disease sits firmly at the top of the list. According to the Alzheimer’s Association, approximately 40 percent of people that are 85 years of age or older have contracted the disease. As medical capabilities advance, people are living longer and longer lives. The oldest segment of the population is growing faster than any other, and the expected lifespan of someone that is 67 years old is at least 85 years. When you combine all of these statistics, you see that it is very possible that you could contract Alzheimer’s disease toward the end of your life. And of course, as we have stated, incapacity can be triggered by other conditions. You can account for possible latter life incapacity by executing certain legally binding documents. Advance directives for health care should definitely be part of your incapacity plan. One of these directives is a living will. This is a document that is utilized to state your preferences regarding the utilization of life-sustaining measures like artificial respiration, hydration, and nutrition if there is no hope of recovery. When you have a living will in place, you can be certain that your own true wishes will be carried out if you are ever in this type of position. Plus, you take the matter out of the hands of your loved ones. The existence of a living will can also prevent disagreements among family members that may have differing ideas about life-support. Another advance directive for health care that should be included is a durable power of attorney. There can be medical decisions that must be made that fall outside of the parameters of a living will. In the durable power of attorney, you can name an agent to act on your behalf with regard to medical decision-making in the event of your incapacitation. There is a third document that should be included when it comes to possible medical situations. Under the terms of the Health Insurance Portability and Accountability Act of 1996 (HIPAA), health care professionals are not allowed to share medical records with anyone other than the patient. You can include a HIPAA release authorization in your incapacity plan to allow your health care agent (and anyone else that you choose) to have access to this information. In addition to medical decision-making, you should empower someone to handle your financial affairs. You could add a durable financial power of attorney, and if you have a living trust, you can name a disability trustee to manage the assets if you ever become incapacitated. Now is the time for action if you do not have an incapacity plan in place. 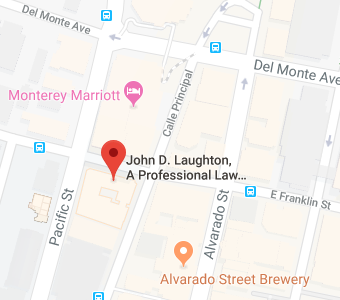 You can schedule a consultation with our firm if you call us at 831-649-1122, and you can alternately reach out through the contact page on this website.